There are times, when playing a game, that the hours just sail past. The player becomes completely immersed in the content and time loses all meaning, buried in a haze of "just one more quest." Then there are the times, when playing a game, that every minute is like pulling teeth. Nothing works, nothing makes sense, and the player begins to wonder just what the hell that game was ever for in the first place. I had both of those nights this past week while playing The Secret World. One night in particular was full of disaster after disaster. An item—a nice weapon—I had scrounged to purchase had vanished from my equipment while I was logged out, and although the customer service representative who responded to my /petition was professional and courteous, in my case there wasn't anything they could do to restore it. Meanwhile, the monster I needed to take down to complete a quest bugged out at 50% health every time, unable to be killed. But a patch applied the next day actually fixed both of the issues I'd been having. 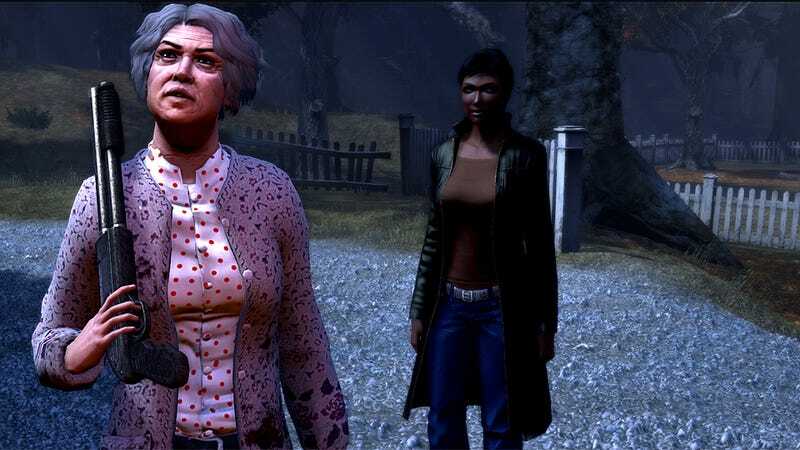 And that seems to be the pattern I'm finding with The Secret World: the game isn't always polished around the edges, and things go wrong, but the team responds to them quickly and seems to be on the case. It's like getting the food wrong at a restaurant: in a good place, they'll apologize, make sure you're tended to, and probably comp part or all of the meal. And a restaurant that does that, that provides excellent and thoughtful service even though screw-ups still happen, is a place you'll keep going back to. My bigger complaint, on the Night of Terrible Gaming, was with the first faction quest, called "Into Darkness." All three factions assign the mission as some point, but it's different from the Templar, Dragon, or Illuminati perspective. For example, I arrived to find the place powered and had to take out a circuit box to make it dark. An Illuminati on the mission will arrive in his or her solo instance to found that some damn Templar already took out the circuit box, and it's dark. The problem with free-form, class-free leveling, though is that it's possible for a solo instance to be unbalanced. Badly unbalanced. And that can take a game that has been about careful thought, patience, sabotage, investigation, and thinking, and suddenly make it into an incredibly frustrating unexpected roguelike. I lost track at death number 17, on that mission. Until then, I'd never had more than two or three unintentional deaths (and yes, there is a purpose to intentional ones) in a single play session. Suddenly, the mood had changed from a sense of nonthreatening guidance to flat-out punishing me. Repeatedly. I was... not pleased. A great deal of loud cursing could be heard at my PC that night. And yet, the next evening I went back, and everything was fine. Monsters died, quests were completable, and the dialogue leading into my first experience in a group zone was very wry and funny. The group zone, Polaris, was good fun. As is often the case with MMORPG dungeons, if you know who your main tank is and target him or her then you're good to go. And in this case, the level-free nature of the game meant that our group's main tank had top-level, end-of-game gear and skills (QL10, in The Secret World's terms) and knew the fights, so Polaris was a bit quicker and easier than it generally is meant to be the first time you try it. Kingsmouth is lovely but I'm about ready to wrap up my last few missions and strike out to see more of the Savage Coast. But first, I need to stop in at the Fusang projects and Stonehenge. It's time to take out some Illuminati and Dragon... personally. Kotaku's MMO reviews are a multi-part process. Rather than deliver day one reviews based on beta gameplay, we play the game for four weeks before issuing our final verdict. Once a week we deliver a log detailing when and how we played the game. (Week one; week two.) We believe this gives readers a frame of reference for the final review. Since MMO titles support many different types of play, readers can compare our experiences to theirs to determine what the review means to them.